【One Hand Operation】 Put your phone on the mount and get it wireless charged simply with one hand. It makes GPS, phone call and check message more convenient and safe. Also, you will feel how amazing this mount is when you hear the sound made by the clips opening and closing automatically. 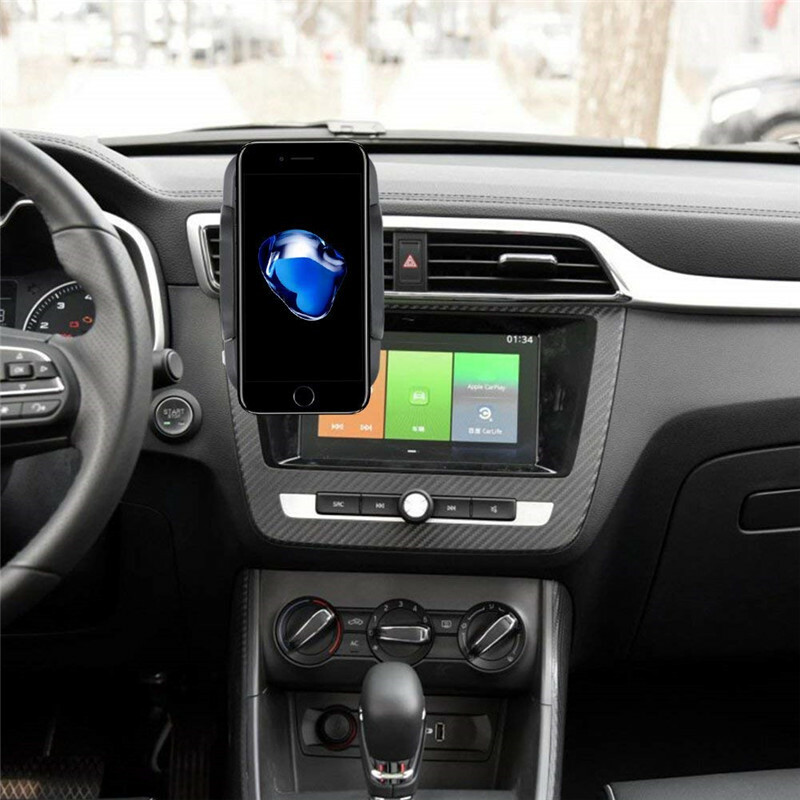 Protect yourself and bring your driving experience to the next level- this automatic phone holder is just what you need! 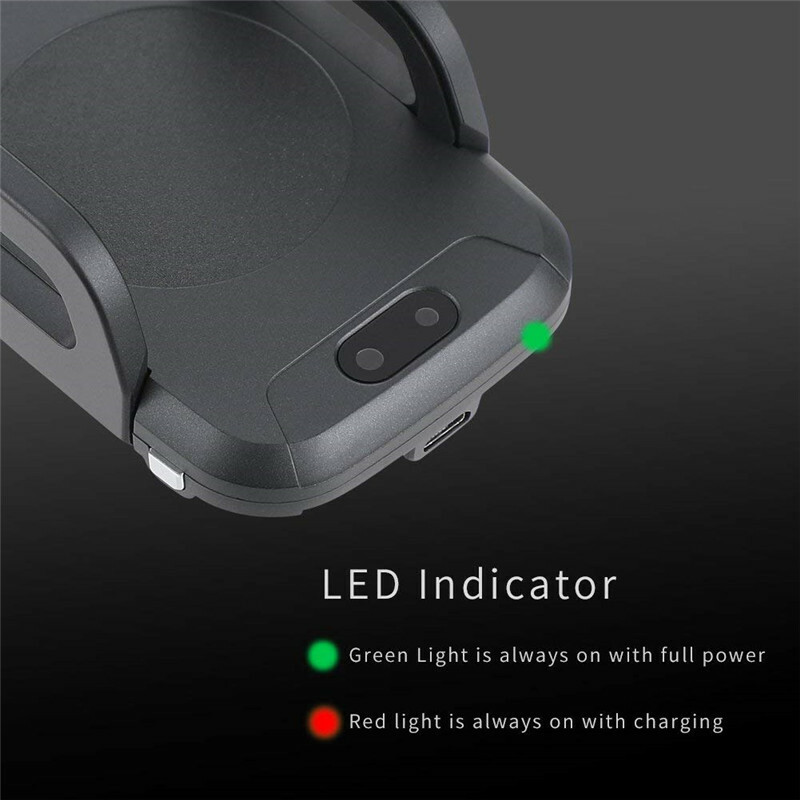 【Fully Automatic】The most advance infrared induction tech: the clips will open and close automatically once your phone approach. 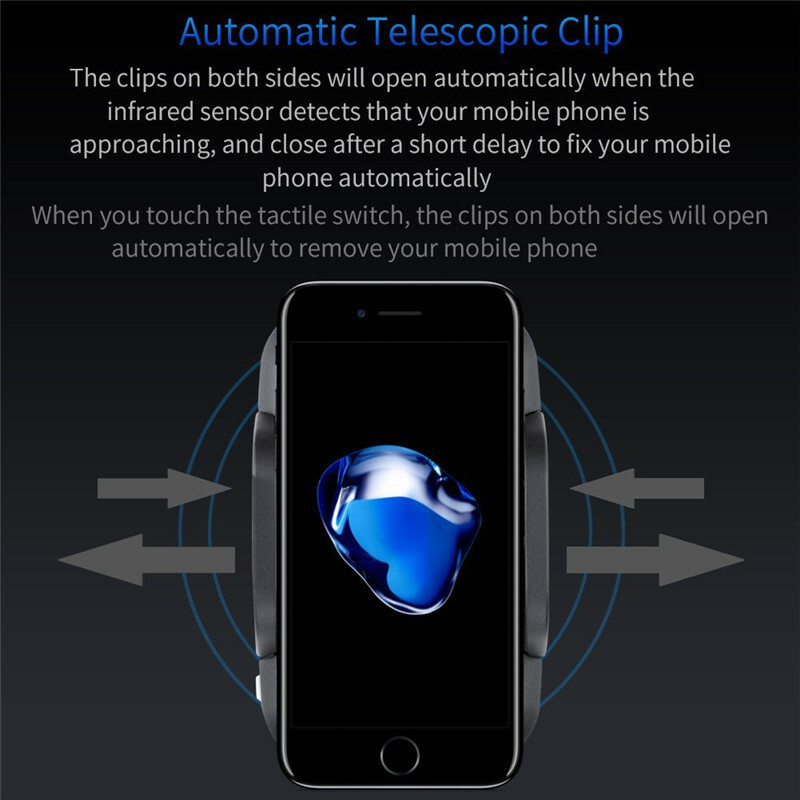 Touch the on-off button on left side ,the clips automatically open, take your phone out. The system will shut the sensor off if the clips open without phone on it once, touch the button on the left or restart the car engine can recover it. You can turn off the wireless charging by pressing the button on the back when you just want to use simply as a car mount. 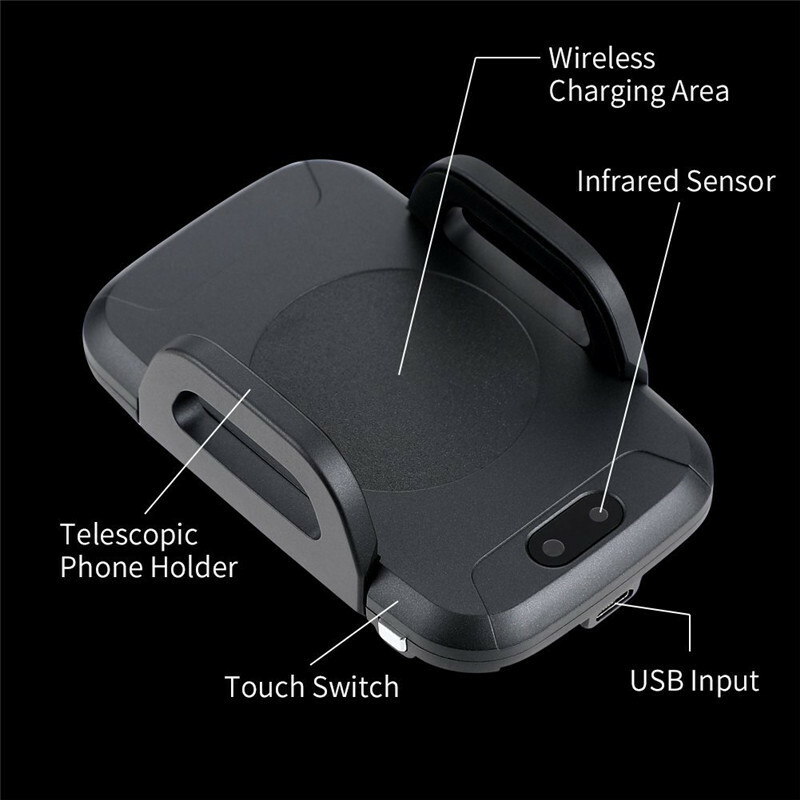 【QI Wireless Charge】The phone holder is compatible with all Qi enabled devices such as Samsung Galaxy S9 S9 Plus S8 S7/S7 Edge Note 8 5 iPhone X 8/8 Plus and so on with standard 5V/1A output. Other phones such as iPhone 5,6,7 need extra Qi receiver patch to get it work. With cases (not metal) between 2-4mm on the phone, the holder can work without any problem.